When a defendant is arrested for a crime, the judge presiding over the case has the option to release the defendant on citation, on his own recognizances, or on bail. The most common type of bail bond that is secured from bail bondsmen in Virginia is a surety bond. Here is some helpful information about the bail bonds process. A judge sets the amount of a bail bond based upon the defendant’s criminal record, the seriousness of the crime of which he’s accused, and his flight risk. A judge may set a high bail in the hopes of keeping a defendant in jail until his case is resolved. If a defendant has strong ties to the community and is accused of a relatively minor crime, a judge may set a low bail. Once bail is set, the defendant must obtain a surety bond from a licensed bail bond agent. A defendant’s bail can be paid in a few different ways. A surety bond, also called a bail bond, is obtained from a bail bond agent at a bail bond company. The bail bond agent assumes responsibility for the amount of the defendant’s bail, and assures the court that the defendant will appear at his next hearing. Another common type of bail is a property bond. If a defendant owns property, the court will put a lien on the property in the amount of his bail. If the defendant fails to appear in court, the court will execute on their lien. 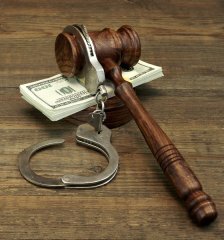 A defendant can also pay bail directly to the court via cash without going through a bail bondsman. After setting bail, a judge will outline specific conditions that the defendant must adhere to after being released. If the defendant does not comply with these conditions, the judge will revoke his bail and issue a warrant for his arrest. The conditions that a judge sets depend upon the type of crime that the defendant is accused of committing. After an arrest, you may be able to post bail in order to not be held in custody until your court date. Bail agents in Maryland are able to help defendants avoid jail time before a court date. Anyone can post bail for a defendant, and there are a few different options in which bail can be posted. Paying cash for your bail is generally the simplest way to post bail. The defendant pays the entire amount in cash. Once the defendant shows up in court on the court date, the money will be paid back, minus any court fees. A bail bond, also known as a surety bond, is one of the more common ways to bail. With a surety bond, the defendant pays a small percentage of the entire bail amount to a surety, or bondsman. The bondsman then pays the entire amount to the courts while collecting the percentage of the fee as payment. In cases where the bail is posted at a large financial amount, there is an option to use property. The courts can seize property, such as a house, in the event that the defendant does not appear in court. After you have been arrested, you will likely be able to post bail. Bail agents in Maryland are available to assist in this process by posting bail for you for a small fee. Many people are unsure about the process of posting bail. Watch this video for a straightforward explanation of how the process works. Once a judge sets bail, you will have the opportunity to post bail yourself. If you pay cash, you get your money back minus court fees, once you appear in court. 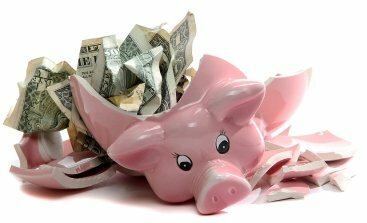 If you do not have the cash to do so, a professional bondsman can pay the full amount in exchange for a small fee. 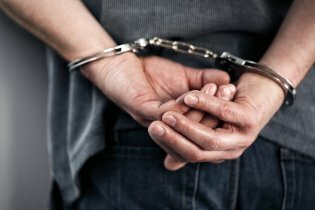 If you get arrested, it is important to know what happens throughout the process. Many people do not know what rights they have when they are under arrest. It is important to know about bail bonds serving Maryland , in case you should find yourself in a situation where they are needed. Continue reading for more information about the entire process of an arrest. There are two scenarios that could lead to an arrest. One is if there is a warrant out for your arrest and you turn yourself in to a police station. The other is if you are caught engaging in an illegal activity and brought into police custody. When a person is arrested, they are read their Miranda rights. Miranda rights are a set of rights that are designed to protect you under the Fifth Amendment of the U.S. Constitution. This includes your right to be silent and your right to an attorney. Once you are arrested, you will be booked. Booking is a straightforward process that takes place at a police station. Your fingerprints and photograph will be taken. You will identify yourself and will have any personal belongings inventoried and held until you are released. If you are booked and taken into police custody, a prosecutor will decide which charges you are being held under. You will then go before a judge for a court appearance known as an arraignment. At this time you will either plead guilty or not guilty to the charges against you. While it may vary depending on the specific circumstances, generally you may have to post bail to avoid staying in jail until your trial. Bail is a fee that is paid to ensure that you show up to court on the day of your trial. If you fail to show up to court, you will not get your money back. If you appear in court as directed, you are entitled to your money back. A bail bond is posted by a bail bondsmen for a fee that is a portion of the total cost of your bail.